longer and resulting in less food waste. 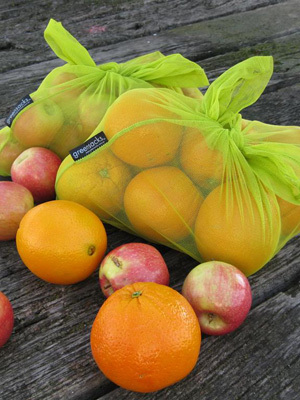 Greensacks are machine-washable and carry up to three kilos of produce. were going straight to landfill," says inventor Pam Bellette. "I wanted to provide shoppers with a reusable alternative." Will reduce the current Australian use of over 10 million plastic bags a day, which take between 15 and 1,000 years to break down. The bags were also finalist in the 2009 news.com.au Green Awards. 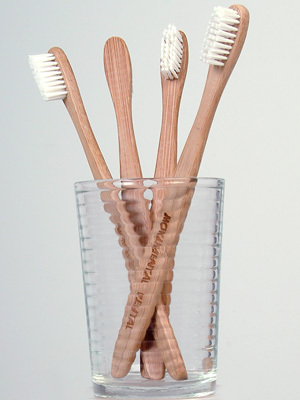 A bamboo-handled toothbrush with biodegradable polymer bristles sewn in. "I wanted to do something about the plastic waste generated from health care," says inventor Natalya Taylor. "As a dentist, choosing disposable plastic toothbrushes is the norm. I used bamboo for the product and packaging instead. I hope this invention inspires people to create more simplicity and less pollution in all areas of our lives." Australians discard 30 million non-renewable plastic toothbrushes annually, adding 1,000 tonnes to landfill. These brushes break down into compost, leaving no residue, and were a winner in the 2009 news.com.au Green Awards. Say inventors Abigail and Jamie Forsyth: "We hope to change consumer behaviour about coffee on the run. The KeepCup is a well designed and considered choice - but the important thing is to reduce, reuse and say no to disposables." 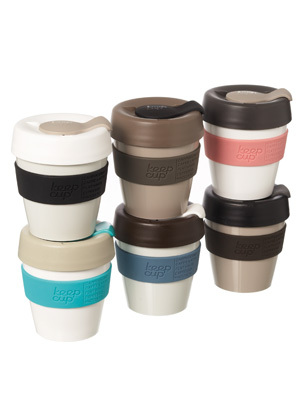 Australians use about 500 million disposable cups a year and most are not recycled. The KeepCup will not only reduce cappucino-related landfill, but represents an energy saving compared to the production of disposable cups. Home aquaponics kits, eco-friendly paints, a solar heating and ventilating system, an intelligent refrigerator, a water fuel cell, a polystrene compacting machine and an office waste management system. For full details, check out the November/December issue of G Magazine, on sale now! Our editor, Carolyn Barry, visited the set of Channel 7's Sunrise program to chat to hosts Kochie and Mel about these great green inventions. Check out the video HERE.